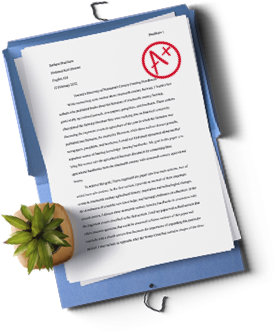 No one knows better then MasterPapers writing services that writing a proper book report is an art. We know that an excellent book review has to critically analyze a secondary text, while a bad one just gives a synopsis. After assessing the way in which the author deals with the topic, we look beyond the boundaries of the book to further evaluate its contribution to the concerned issues. Intellectual approach or historiography# What contemporary and distant schools of thought show their influence on the author"What are the books basic premises, values and purpose"Is the author in agreement with generally held views"If the author is in disagreement with these, is he justified in holding an opposing view"Does the book make a significant impact while making an original contribution? Approach of the book # What kinds of issues does the author raise"What kind of data does the author use"Is the work based on too many unproven assumptions"Does the author adequately answer the issues that are raised-or are these left hanging? Writing Style # Is the writer adequately lucid in style to capture the nuances and mood of the topic"Is the conclusion convincing and could a lay person understand it"Do the thoughts follow in logical order with clarity and sustained style or does it sizzle out in between? Reviewer's evaluation # What is the subjective assessment of the authors views"Does the reviewer agree or disagree"Which parts of the book were found the most memorable"Did the book leave the reader with a feeling of triumph or direction or was one left more confused then before"This last step covers the inherent strengths and weaknesses of the book. Does the review introduce the topic and type of book along with its scope and setting? Are the author, title, and publishing details clearly stated? What is the theme"Is it nonfiction or fiction, a biography or an autobiography? Does the review look at the book in relation to other books on the subject"What is the gist of the content? Does the review analyze if this book takes the topic to the next level, or is it run of the mill? If it's an academic book -does it give an overview"Is it backed by quotes from key passages? If it's fiction, does the review give a brief write up of the story and key characters without giving away the twist in the story or plot? Whether you have to submit a world class book review, or other well conceived essays, a once in a lifetime dissertation, coursework or assignment writing – contact the academic writing experts.